Bobby Flores' Explosion team is one of the best in the West this year. We continue our pre-summer look at the top club teams across the nation for the 16U age division by spotlighting the teams ranked #'s 30-21. Each day this week we are revealing 10 teams leading to Friday when we’ll unveil the Top 10 (and #1 overall ranked team). On Monday, February 18, we will list the Next Teams In (#’s 51-80) and on Tuesday, February 19, the Teams to Watch (#’s 81-100). Teams were selected based on performances and results in events over the last year, including this winter and fall (understanding that showcase events are more for recruiting exposure and don’t necessarily reflect a team’s abilities), as well as how they project for the summer with the talent returning and the addition of impactful new ones for the upcoming run at Nationals. 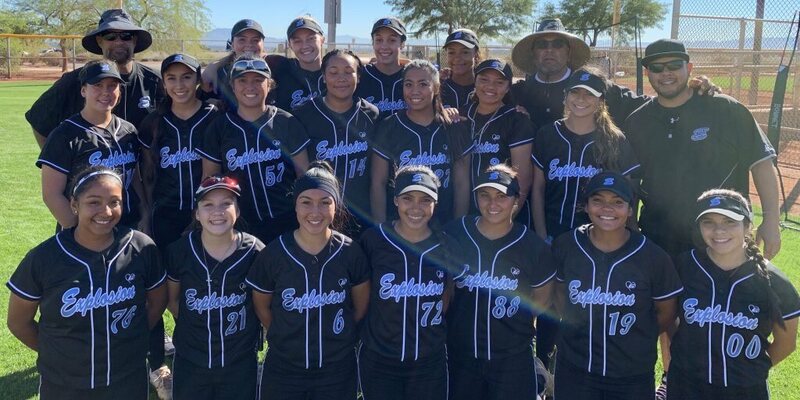 Input was acquired by the Extra Inning Softball staff watching teams and players in person as well as insights provided by club and college coaches across the country. These lists include a mixture of second and first year 16U teams with the intention of projecting how the teams will perform over time, especially in key summer events. To contribute any additional information, insights, modifications or content, email: info@exstrainningsoftball.com.